The holiday hire includes the use of the boat and its inventory after adequate tuition. Gas for cooking is also included. Pets are welcome on our boats, and the first pet free. All our boats have central heating, cooker, fridge, toilet, shower, radio/CD player and 240 volt mains invertor (max 400W). Crockery, cutlery, glassware, pots/pans, toilet roll and a cleaning kit are provided, but bedding apart from 1 pillow is not. Please bring your own duvets/sleeping bags, extra pillows, pillow cases, sheets and towels. 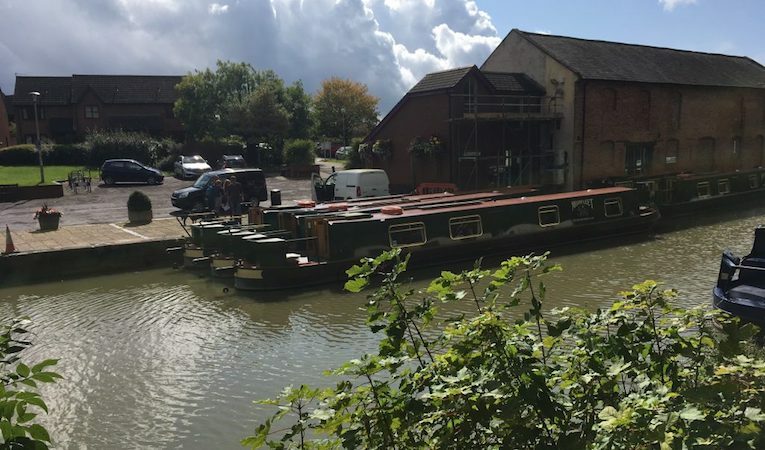 There are generally no mooring charges – you can moor anywhere along the towpath for free – and the boat’s licence is already paid for, so no hidden extras. Fuel and Parking are the only ‘extras’ we charge for. Fuel: This depends on how you boat – gentle use will result in less than 30 litres (£35) on a short break – heavy use/ unnecessary speeding may result in up to twice this amount! The central heating also uses diesel so remember to allow for this in cooler weather perhaps adding up to £15. For a week the fuel may be between £50 and £100 depending on use as above. 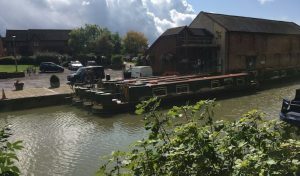 Parking: On arrival at Devizes Wharf (SN10 1EB) find somewhere to park and purchase a ticket from the machines, due to the whole wharf area being ‘Pay & Display’ (8am–6pm, except free on Sundays). The fee is £6 per day and this can be paid in cash at the machine daily, or more conveniently for your entire trip by phone following the instructions clearly stated on the side of the machine. We have been allocated parking spaces at the Devizes Rugby Club charged at £10 weekend, £15 midweek and £30 for the week. Contact us if you wish to add this to your booking. Alternatively, you may wish to park on the public highways, or car parks: Here’s a great map of the roads and car parks in Devizes. Fuel and Damage Deposit – to keep your costs to a minimum we do not offer a damage waiver scheme, preferring to take a single £200 deposit, taken by debit card or BACS when we call you around two weeks before your holiday. On your return we shall refuel the boat and deduct fuel used from your deposit at prevailing forecourt diesel pump prices. We hope you won’t have lost or broken anything, but if you do these items will also be deducted from your deposit (If you have had pets aboard, we reserve the right to make a charge if the boat comes back in any way showing signs of the pet’s presence by way of damage, hairs etc.) – don’t worry we’ll always discuss this with you first! The balance of your deposit shall be returned to you by BACS within two working days of the completion of your holiday. Now how easy is that?! Please do read our Terms & Conditions for your added peace of mind. If you need cancellation or travel insurance contact Guest First, travel insurance specialists.